There have been a number of complaints from businesses who found Facebook's decision to take down their sites, rather arbitary. A Sophos security advisor states what he thinks Facebook should be doing in the above video. "the most appalling spying machine that has ever been invented. Here we have the world's most comprehensive database about people, their relationships, their names, their addresses, their locations and the communications with each other, their relatives, all sitting within the United States, all accessible to U.S. intelligence." Facebook, Google, Yahoo – all these major US organizations have built-in interfaces for US intelligence. It’s not a matter of serving a subpoena. They have an interface that they have developed for US intelligence to use. Now, is it the case that Facebook is actually run by US intelligence? No, it’s not like that. It’s simply that US intelligence is able to bring to bear legal and political pressure on them. And it’s costly for them to hand out records one by one, so they have automated the process. Everyone should understand that when they add their friends to Facebook, they are doing free work for United States intelligence agencies in building this database for them"
It is a little surprising that this outburst is so vitriolic, given that WikLeaks itself has a Facebook Page and Facebook refused to shut them down, even though other US-based companies such as PayPal severed their connections with WikiLeaks. Not surprisingly Facebook refutes Assange's claims and a company spokesman, in a written statement to CNet, is on record as saying that they only do what's legal and nothing more. Neither have they automated the process of data retrieval according to their rebuttal. "We don't respond to pressure, we respond to compulsory legal process. There has never been a time we have been pressured to turn over data [and] we fight every time we believe the legal process is insufficient. The legal standards for compelling a company to turn over data are determined by the laws of the country, and we respect that standard." This is not to say that there aren't companies who haven't built agency intefaces to cater for government requests for information. A case in point is the telco Spint, whose GPS data has reportedly been used more than 8 million times by the local constabulary. Clearly there are some major privacy issues about the release of such data without obtaining the owner's prior permission. Facebook have an online form for enforcement, law offices and government agencies to use when requesting information. So is there a grain of truth in what Assange is suggesting? We shall never know if intelligence agencies are able to tap into private data but it is a safe bet that they can and do. For those that are really concerned by this then the answer is simple, do not engage in social media and if your do, adjust your privacy settings to exclude anything you don't wish to share. According to this chart Mac people are 50% more likely to say they frequently throw parties than PC people and PC people are 21% more likely to prefer impressionist art. But do we need to know this stuff or does it fall into the realm of useless but interesting trivia? Given that Mac people are 7% more likely to snack on salty chips than PC people perhaps there may be just one marketing add-on for retailers; a packet of crisps with each new Apple Mac. The trick is to make sure these salty snacks are of the vegetarian variety as Mac people are 80% more likely to be vegetarian than PC people. While on the subject are off beat research and statistics consider the scientists who have just developed software that tells dirty jokes. More specifically, these research hours have produced a system that recognises a particular type of double entendre - the "that's what she said" joke. Apparently these TWSS are innocent sentences can be transformed into lewd utterances by appending just four short words. The scientists describe their challenge as a"hard natural language understanding problem". The late Benny Hill could have made a joke out of this utterance for a starter but would not have been impressed with the software nor the money spent on it. Next up a sarcasm detecting device? Note the interest from the USA before the Royal Wedding event and that the majority of the buzz took place through Twitter. The nuptials were more influential than the previous two big events; the Japanese earthquake and the Egyptian revolution. Interestingly it was the Queen who was the star with David Beckham scoring a miserly 8.5%. 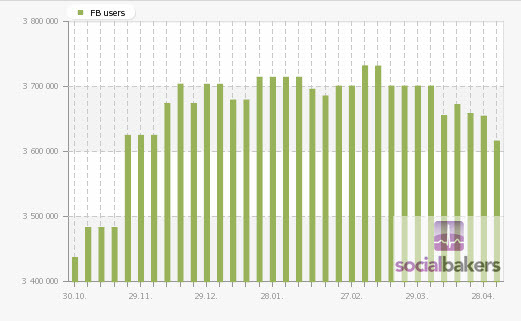 Twitter was once again the dominant social media platform. The Royal Wedding Channel on YouTube has recorded 17,593,651 views since its establishment in 2007. 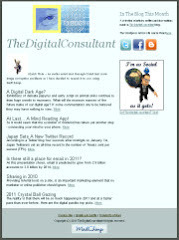 The power of social media knows no bounds! News today that more than 27,000 Facebook fans are supporting Hong Kong's most popular seller of gai daan tsai (egg waffles) after he was arrested once again. This is his 6th brush with the law since January but 74 year old "Ah Bak" has been selling these Hong Kong creations for the past 30 years and seems unlikely to change the habits of a lifetime. He one one of the last of the traditional street hawkers to ply their trade and as such has drawn huge support from Netizens. There are 3,615,820 facebook users in Hong Kong (51% of the population) so 27,000 remains a small proportion of potential supporters for the egg waffle cause. Interestingly the Facebook site in question seems to have been quickly removed just a day after this publicity - by whom I wonder? Authorities worrying about an 'Egg Waffle Revolution' - I very much doubt it. 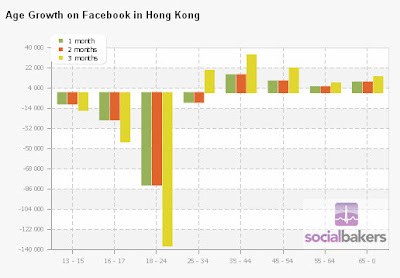 Facebook usage in Hong Kong has actually declined by 100,000 since a peak in February of this year. The biggest loss is in the youth demographic 18-24 with 35-44 year olds being the fastest growing segment. Meanwhile Hong Kong's most defiant egg waffle vendor is 'cracking on' and remains unrepentant. "If you want to arrest me, then go ahead and arrest me," says the defiant Ng. "I will keep on working for 10 more years."